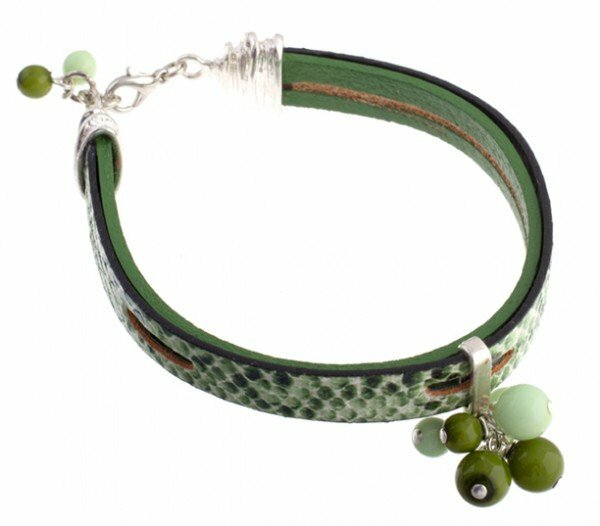 I am sharing a new flat leather bracelet designed by Nancy Donaldson, who was clearly determined to use as many colours as possible in her latest submission. Our flat leather collection is available in two widths. Nancy is using 10 x 2 mm peices. I said to Nancy that this looked like a difficult math project! She created the piece without a diagram. It was a free form project that turned out beautifully. 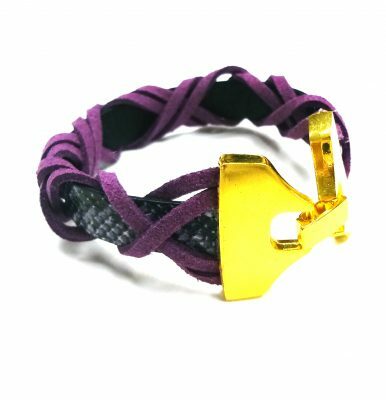 Nancy used two of our new curved magnetic clasps to finish her bracelet. The silver rivets were set with our eyelet and rivet setter. 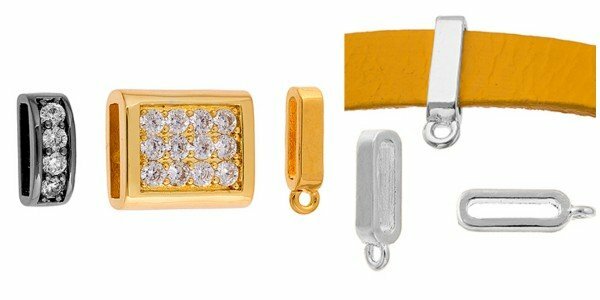 The curved clasp is ideal for this project and is available in silver, gold and gunmetal. 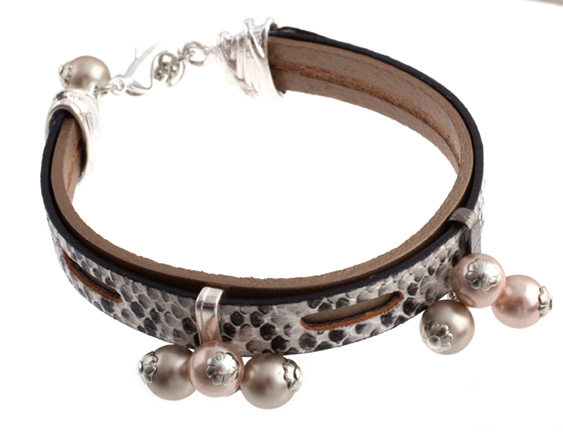 Dazzle-it Faux suede lace has now been introduced to our Metal Complex Flat Leather in this bracelet by Nancy Donaldson. 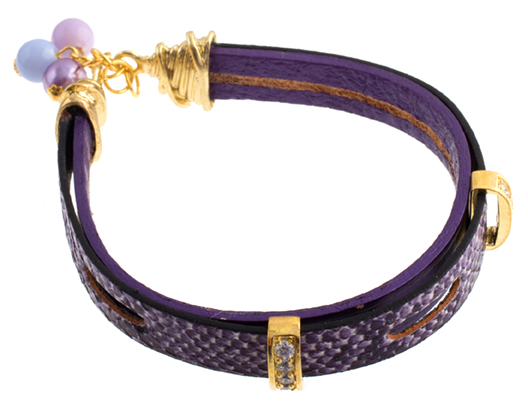 The faux snake purple flat leather was beautifully braided with the suede lace. Nancy tucked all her ends in our Metal Complex flat leather specialty clasps. 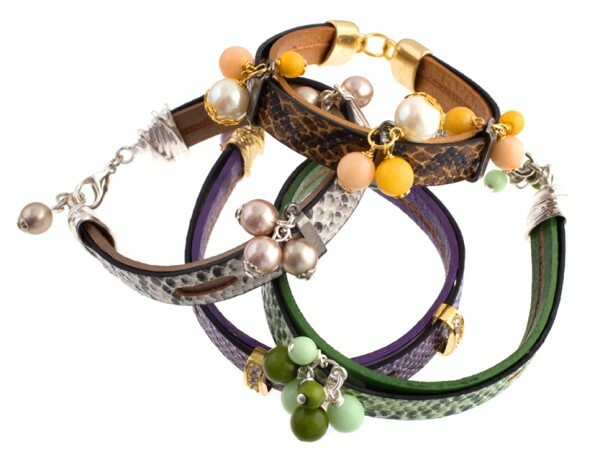 Nancy Donaldson fashioned these two gorgeous bracelets with two different types of leather. 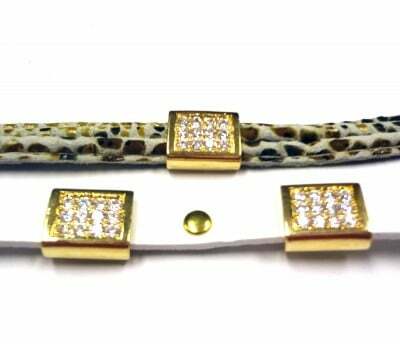 Two strips of leopard nappa leather gold cord were set side by side for the first bracelet. 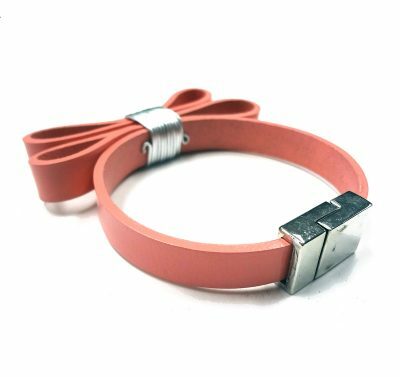 White flat leather was used for the second bracelet. 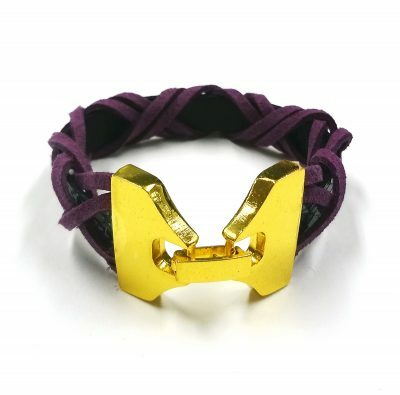 Finishing the bracelets is quite easy with our designed to match glue-in magnetic clasps. 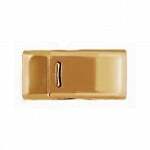 The choices for clasps are wonderful and they are available in gold, silver and gunmetal. The sliders are also available in the three colours shown. 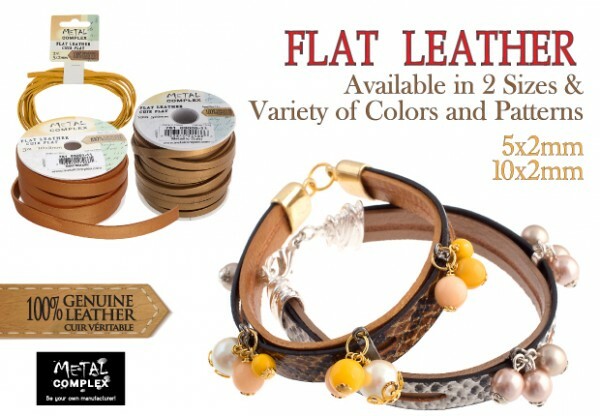 Flat leather colour choices are fabulous too! 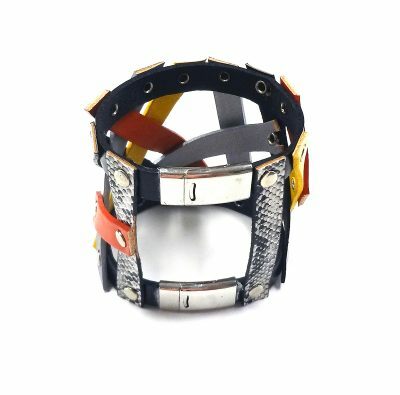 Author Carmi CimicataPosted on April 24, 2014 Categories Clasps and Endcaps, Flat Leather, Leather Works, Nappa Leather, SlidersTags Flat Leather Collection, SlidersLeave a comment on Metal Complex Sliders! New Sliders For Flat Leather Projects. 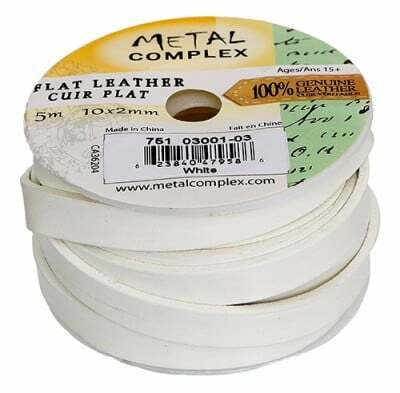 Are you ready to make your flat leather projects stand out? 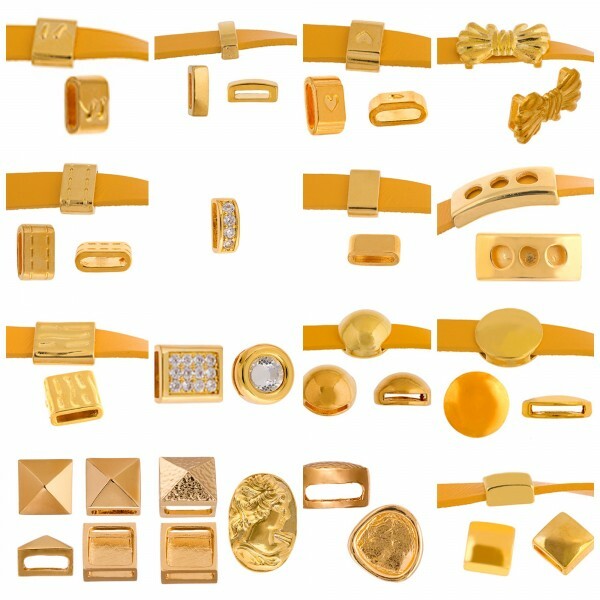 We have a new and brilliant mix of sliders in the Metal Complex catalog! 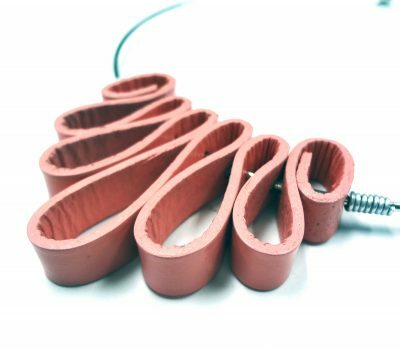 These imaginative designs are sure to make your projects stand out. 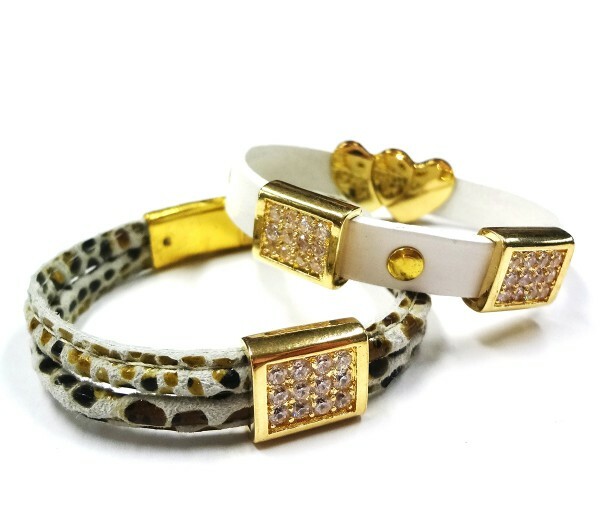 These sliders are available in gold, silver and gunmetal. 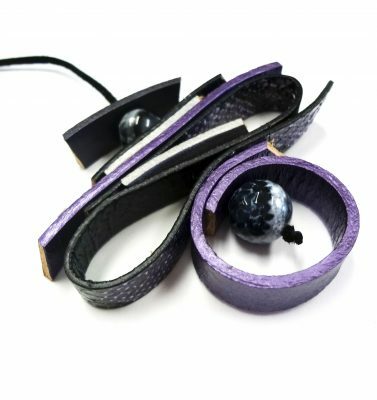 With so many Metal Complex flat leather colours to choose from these slider embellishments will give you endless design options! 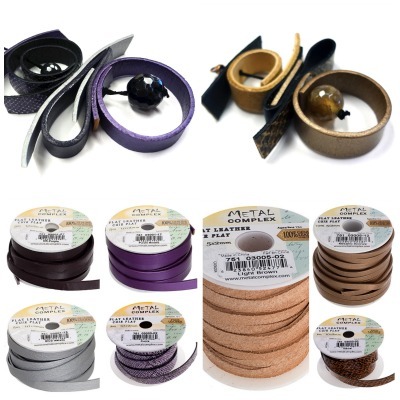 Author Carmi CimicataPosted on April 21, 2014 Categories Flat Leather, SlidersTags Flat Leather Collection, SlidersLeave a comment on New Sliders For Flat Leather Projects. 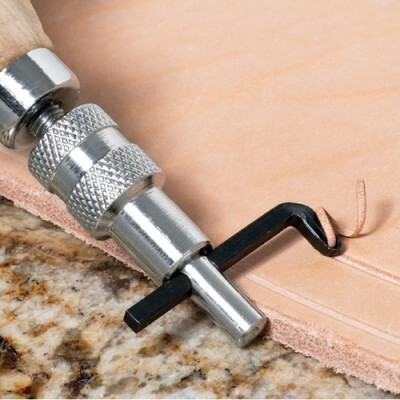 Are you ready to make your flat leather projects stand out? 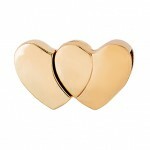 We have a new and brilliant mix of sliders in the John Bead catalog! These imaginative designs are sure to please you and your customers. 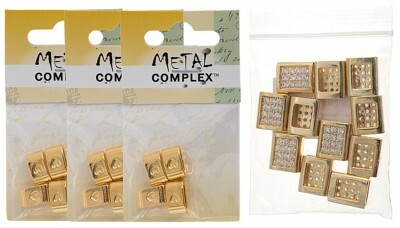 They are available in bulk packaging and are also retail-ready under the Metal Complex brand. 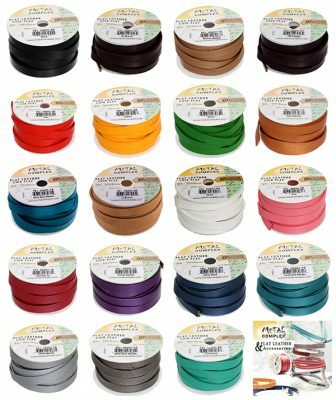 With so many flat leather colours to choose from these slider embellishments will give you endless design options! 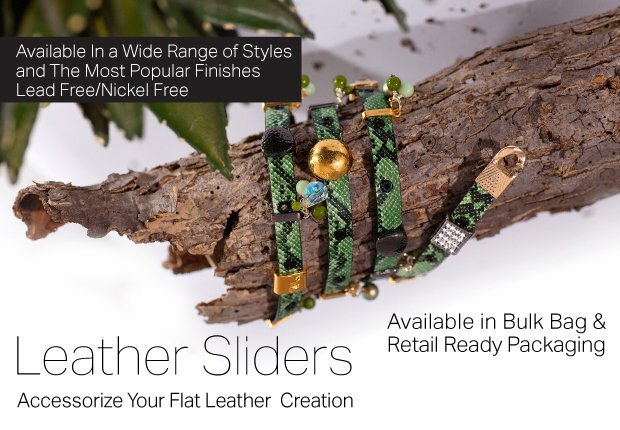 Author Carmi CimicataPosted on April 21, 2014 Categories Flat Leather, Metal ComplexLeave a comment on New Flat Leather Sliders! 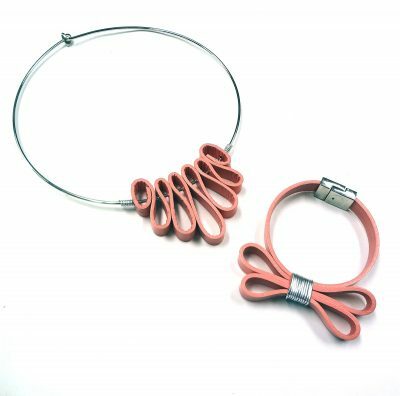 This featured pendant by Nancy Donaldson is just one inspiring image for a series of shaped designs with flat leather. 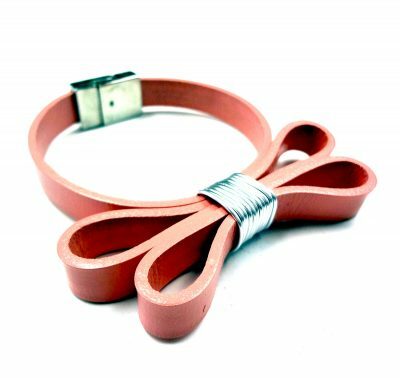 It goes without saying that flat leather is wonderful for bracelet making. 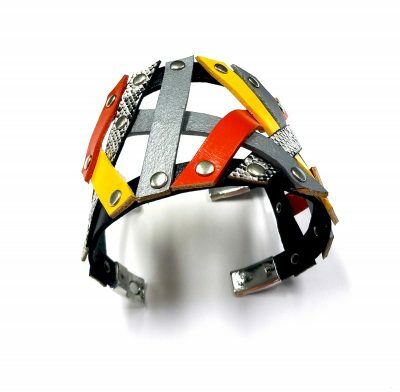 In moments you can create a fabulous wearable. 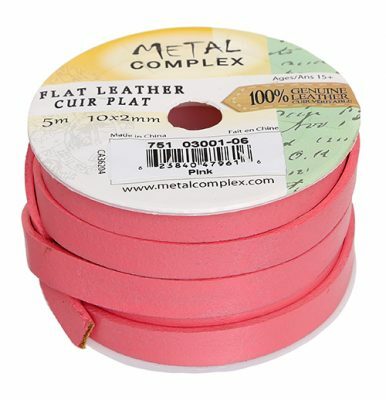 With a little time and planning however, you can really use the flat leather in ways yet to be discovered. Nancy planned her designs and with the careful placement of punched holes was able to “string” her shapes. 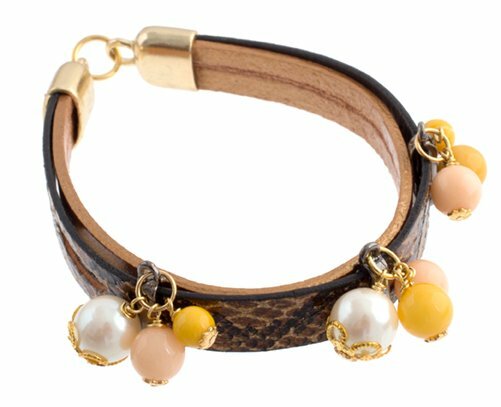 She also used knotted beads in parts of her design. 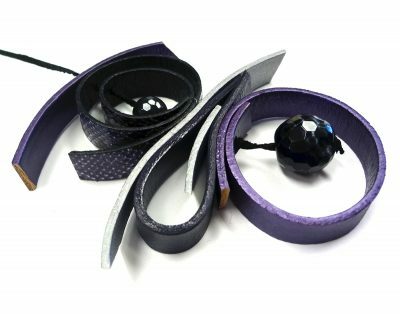 These are the colours of flat leather used for the purple pendants. Fire and Ice black facetted beads are her embellishment. 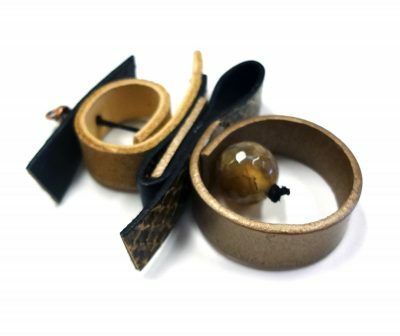 This latest set of flat leather jewelry by Nancy Donaldson features an interesting way to fold you leather into pleasing shapes. 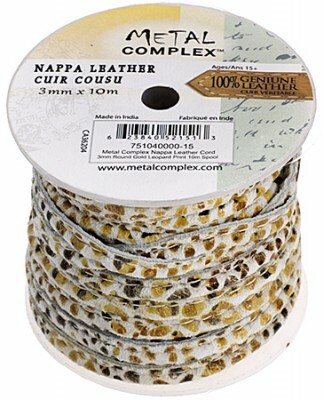 This is the flat leather Nancy designed with. 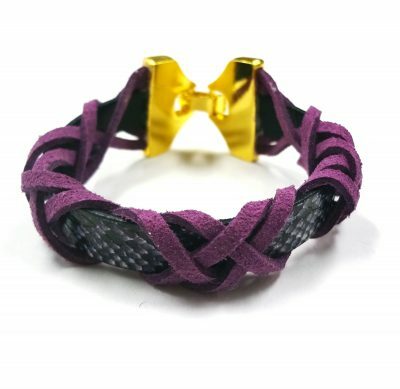 I really like how some simple aluminum wire was twisted to create the bow for the bracelet. The careful placement of punched holes allowed Nancy to fold this section of flat leather into place. Wire wrapping the choker holds the leather shape. 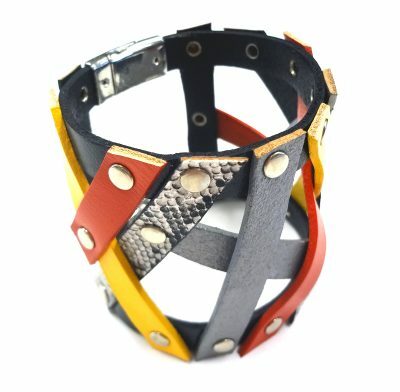 The flat leather collection includes many clasps to choose from. 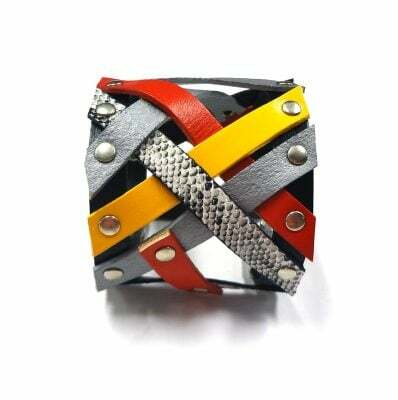 Nancy used a magnetic clasp on this piece. With so many colours to choose from you could make this set is so many different palettes.